Who? 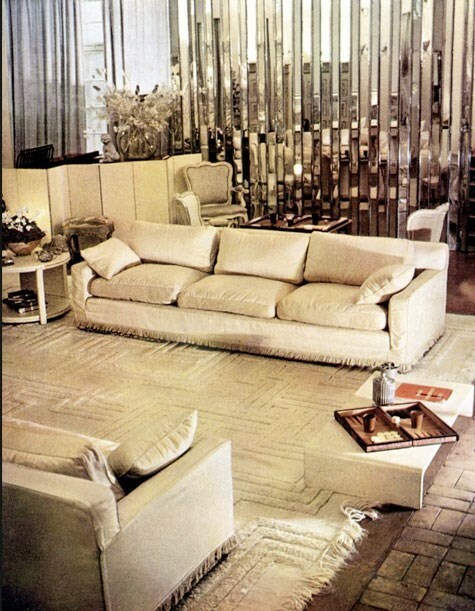 World-renowned interior designer Syrie Maugham modernised the high society home in the 1920s and 30s. In a time of darkly panelled drawing rooms, tasseled tapestries and an absolute reverence for antiques, Maugham brought shades of white into public consciousness, when white only filled the rooms of workmen’s cottages. The decisive Syrie was born in London in 1879 to Thomas John Barnardo (who founded Barnardo’s children’s charity) and Sarah Louise Elmslie. At 22 years old, she married her first husband Henry Wellcome – 26 years her senior – whom she’d locked eyes on on a trip to Khartoum with her father. In 1903 they had a son, by which time Syrie had already taken solace from their unhappy marriage in a string of affairs with, among others, Harry Gordon Selfridge and the novelist William Somerset Maugham. Syrie then entered a second unhappy marriage with Maugham – she knew him to be madly in love with Gerald Haxton – in 1917 after becoming pregnant with their daughter Liza. In 1910 however, somewhere in between the tumultuous events of her personal life, Maugham offered her services, gratis, to Thornton-Smith Ltd in exchange for an education in interior decoration. This was the act of a proto-feminist: for a ‘highly born’ woman, training in furniture restoration, trompe-l'oeil, curtain design, and the mechanics of traditional upholstery (especially before the war effort when women were welcomed into the workplace) was deemed insolent. Rather, her passion, determination and general rule-breaking reaped a clamour from her social circle – from Cecil Beaton to Stephen Tennant and Mona von Bismarck. In her black suits and frilly Balenciaga blouses, she set herself aside as an arbiter of taste. In 1921, Vogue reported that “someone once said that a woman is happily married or an interior decorator,” and by 1922 Maugham had opened her first store, Syrie, on Baker Street. Vogue’s horrid cliche was unfortunately accurate in this case, since decoration was certainly Maugham’s most requited love: it wasn’t long after she’d opened her store before she acquired clients in California and Palm Beach and her franchise spread to New York and Chicago. What? Maugham unveiled her famous all-white room to a crowd of revellers at a midnight party in her home on Kings Road. The quickly crowned ‘White Queen’ offered a symphony of snowy shades in her drawing room with sofas covered in the palest beige satin and off-white painted Louis XV chairs. Maugham had even dipped the bottoms of her own curtains in cement for the perfect ashen hang. For years, Maugham inspired a surfeit of copycats, but this drawing room would be the only place Maugham would actually employ the all-white look. Friends of Maugham’s recalled an array of palettes: wall-to-wall blue for a seaside home and beige in the city; Cecil Beaton had noted leaf-emerald wallpaper, magenta cushions and Schiaparelli pink. Why? Karl Lagerfeld paid homage to Syrie Maugham’s style and the rue Cambon store with his Haute Couture Spring 2017 collection just last week. How can we “transpose the ambiance of 31, rue Cambon without copying every detail” wondered the show notes? 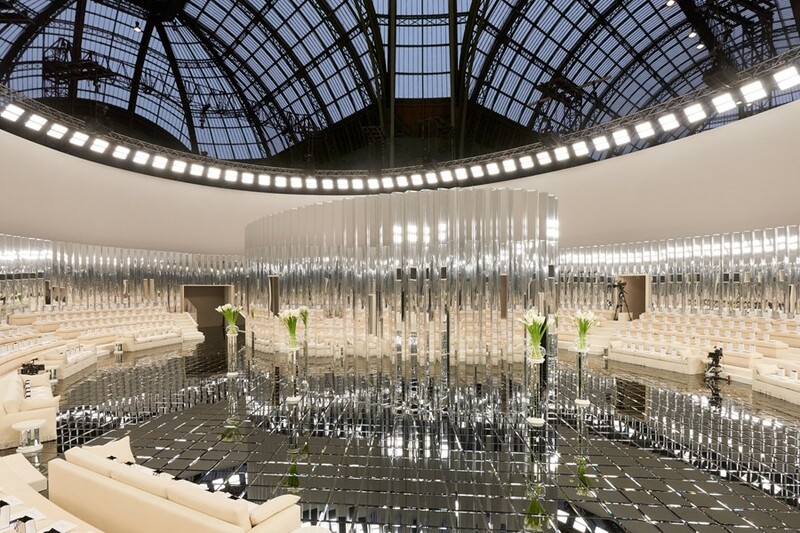 In answer, an Art Deco bevelled mirror set centre-stage in the Grand Palais, Paris, called to mind Maugham’s expansive, light-filled rooms. 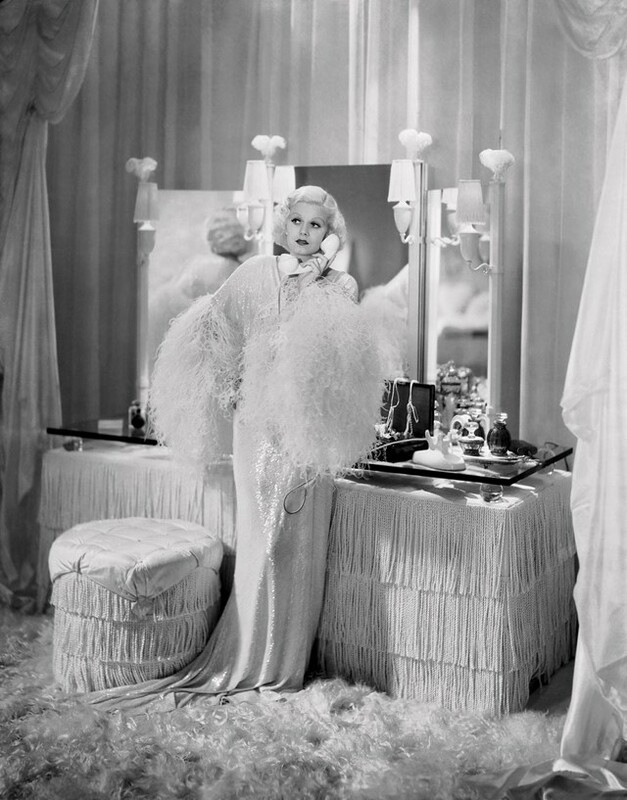 And although plump beige couches lined the venue, flanked by plinths holding Maugham’s favourite white calla lilies, it was the breezy lightness and modern simplicity of Karl’s corps of immaculate white tweeds through which Maugham was really resurrected. The collection was a Syrie-inspired symphony of white and beige: beige satin dresses were offset by panels of the lightest white gauze, studded with delicate crystal embroidery, all cinched together with a sturdy and stony white belt, while volumes were aerated by razor-cut marabou trims and oval-shaped silhouettes. Syrie Maugham’s modern touch felt as fresh today as it did almost a century ago.